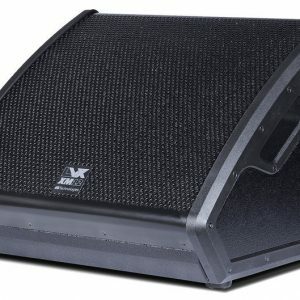 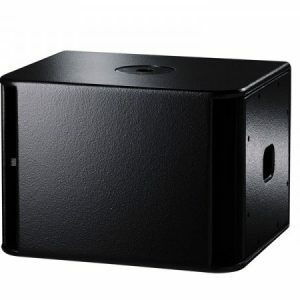 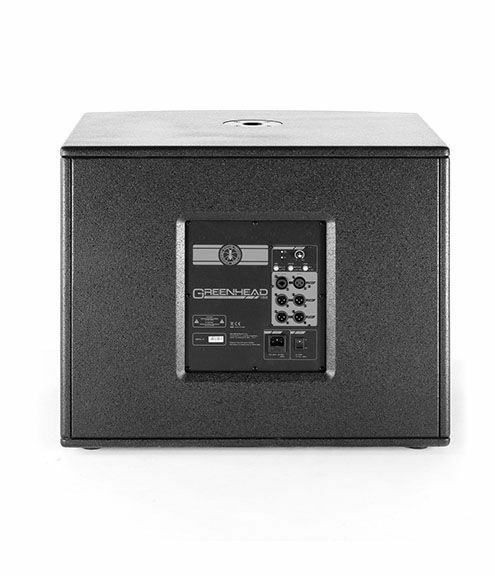 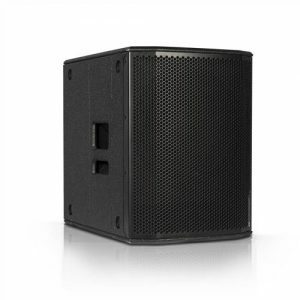 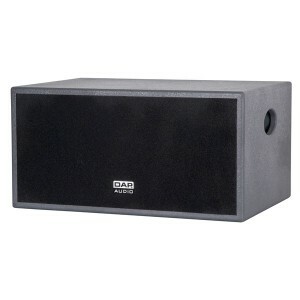 Its outstanding audio performance allow user to build most of the PA systems with 1 single sub and 2 full range speakers, 2 GREENHEAD 15 for example, avoiding any external processing or crossover thanks to a balanced Xover signal to left and right speakers. 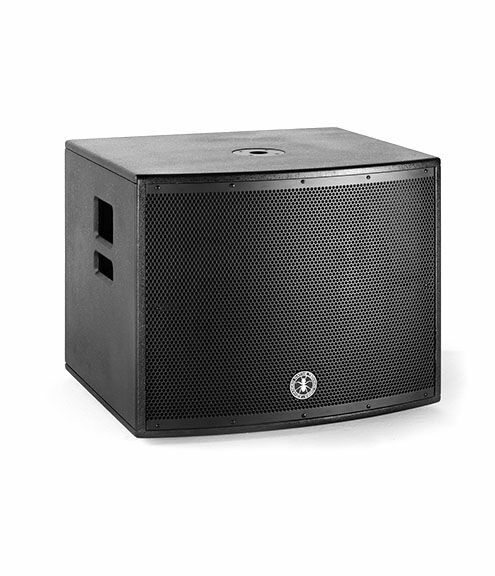 The series comes with a full grille design in a lightweight (33.2kg) wood cabinet strengthened with a hard wearing, scratch-resistant black covering. 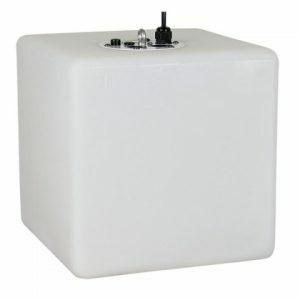 Side handles enhance portability. 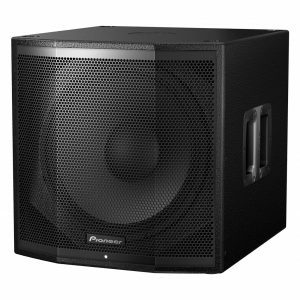 The design of the top side eases subs stacking for larger systems and features a M20 pole mount thread to stack full-range speakers.